California Turkish Van Rescue View other Turkish Vans for adoption. ANDY and his siblings were rescued from a high kill shelter when they were just babies. A person found them, and brought to the shelter. Destined for death, being that shelters don't have the volunteers nor resources to bottle feed kittens, they called on our help, and we swooped into the rescue. Now that ANDY and his sister ANNIE are strong and healthy, they are looking for there furever homes. (they do not need to be adopted together). ANDY is super sweet! ANDY gets along really well with anyone - be it other cats or kittens, dogs and people! ANDY was rescued from a high kill shelter in the nick of time and is at a foster home, but is really hoping a wonderful person chooses him to be part of a loving forever family. ANDY is housebroken, always uses the litterbox, doesn't spray, doesn't scratch up the furniture, and is well-behaved. As well as current on all shots/vaccinations, is microchipped and fixed. Bring some silly love into your home today! Adoption application:pawsworldwide.org/adopt/adoption-application/ 206.450.5154 Please contact us to find out when we will be at Corona PetSmart. 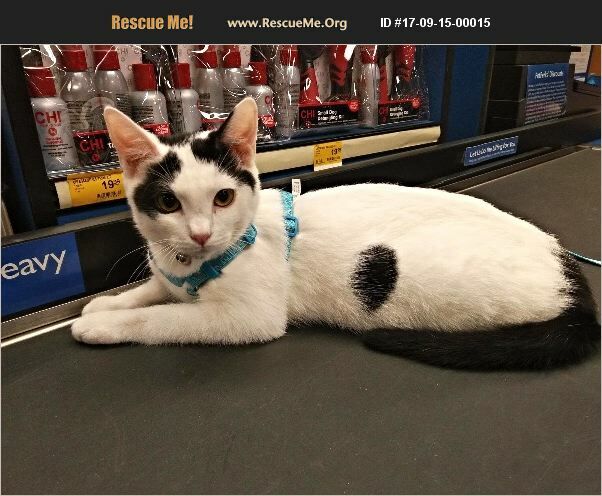 Typically we are at Corona PetSmart on Fridays and Sundays from 1pm-7pm at 573 N McKinley St, Corona, CA. Steps to adopt: Fill out our adoption application. Make arrangements or show up to one of our adoption events to meet the animal/s you are most interested in. There may be a required home check. There is a required minimum adoption donation; please inquire as to details.